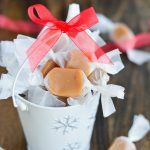 I first shared this recipe on Penney Lane where I was a contributor. 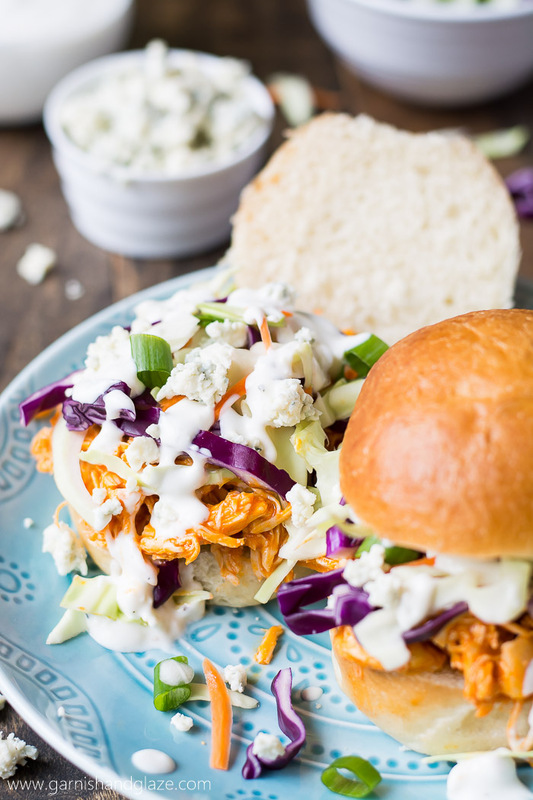 Buffalo Chicken Sliders are filled with spicy tender chicken, refreshing crisp coleslaw, and cool creamy blue cheese dressing. Make them in the slow cooker or pressure cooker for an easy dinner or crowd pleasing appetizer! 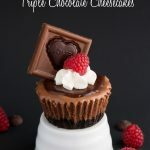 Pin it to your APPETIZER RECIPES board to SAVE it! The slow cooker and Instant Pot are perfect for cooking chicken (really any meat) to shred. Leave it in the slow cooker for a few hours or the pressure cooker for only 15 minutes and it just falls apart. Mix in some sauce and voila! 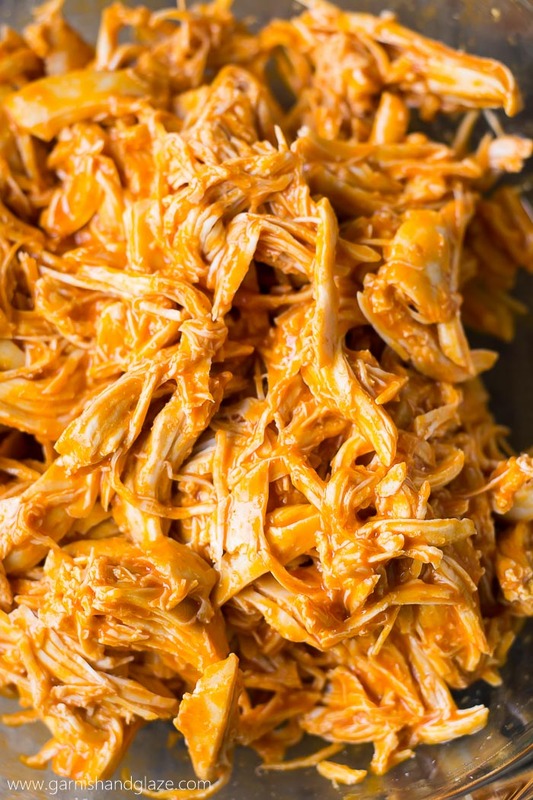 You’ve got the easiest tender and moist shredded chicken. 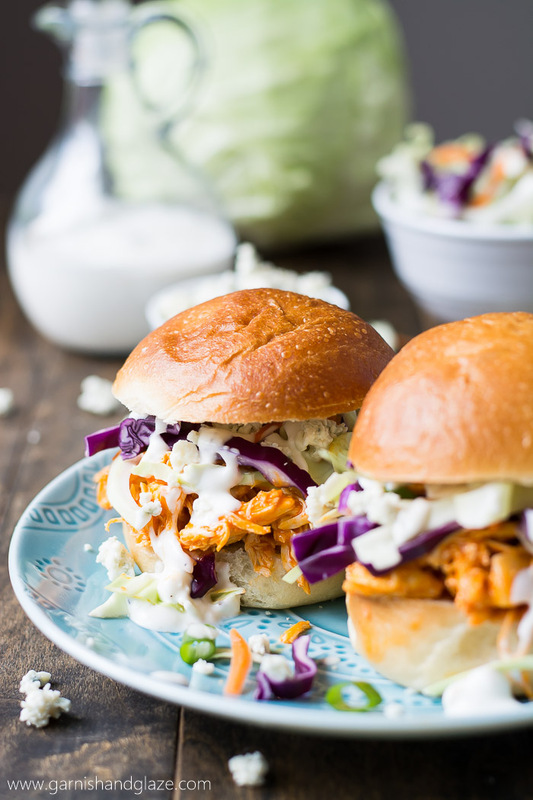 Our latest obsession are these Buffalo Chicken Sliders. 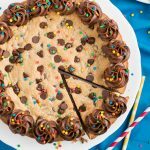 Perfect for dinner or for a party. Place raw chicken in the bottom of the slow cooker insert pot. Add 1/3 cup water and then sprinkle with desired seasonings. If you’ll be adding a sauce at the end, it’s best to keep the seasonings simple. For a versatile flavor I like to just add onion salt. Cover and cook on low for 4 hours. Low and slow is the way to go to create a tender moist meat. Similar to the slow cooker method, place the chicken in the bottom of the pot, add water and seasonings. Cook on high pressure for 10 minutes. It will take about 5-7 minutes to get up to pressure. After cooking for 10 minutes, let it naturally release the pressure for 5 minutes and then follow with a quick release. There are so many ways you can use shredded chicken but the easiest is to mix it with some sauce and then sandwich it on a bun. To add more texture, I like to throw on some coleslaw. And hey, more veggies! Since the Buffalo Wing Sauce is spicy, I like to balance it out with some cool, creamy, and tangy blue cheese dressing. Yes, it’s messy but oh so delicious. 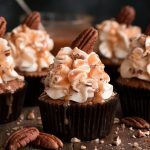 Slow Cooker– This is very similar to the one I use but it has the addition of a lockable lid which is awesome for when you are transporting food for a party or pot luck, especially soup. Place chicken in the bottom of a slow cooker, add water, and sprinkle with onion salt. Cover and cook on low for 4 hours. Place chicken in the bottom of pressure cooker, add water, and sprinkle with onion salt. Cover, set knob to "seal" and cook on high pressure for 10 minutes plus a 5 minute natural release, followed by a quick release. Shred chicken and mix with the buffalo wing sauce. Mix green onions with coleslaw. 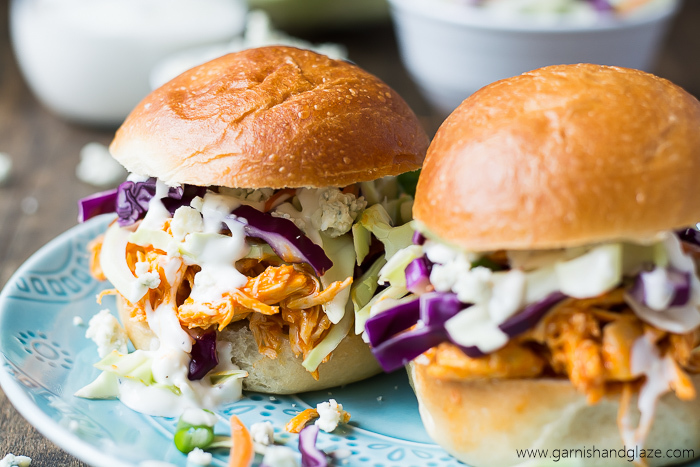 Place the saucy chicken on each bun along with some coleslaw mix, blue cheese dressing, and crumbles. Close and serve immediately. These sliders look fabulous! 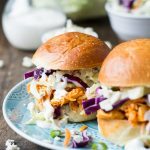 Buffalo chicken is always one of my favorite things to eat! Thank you Paige! You’ll love these sliders. Yes! My favorite is that purple red cabbage. Malinda- Definitely easier as long as you remember to start it earlier enough in the day.